I’ve personally used these so I can attest they are a lot of fun. Basically, there are little buttons of the side of each car that if hit eject the rider. The first player to hit the other just right wins. 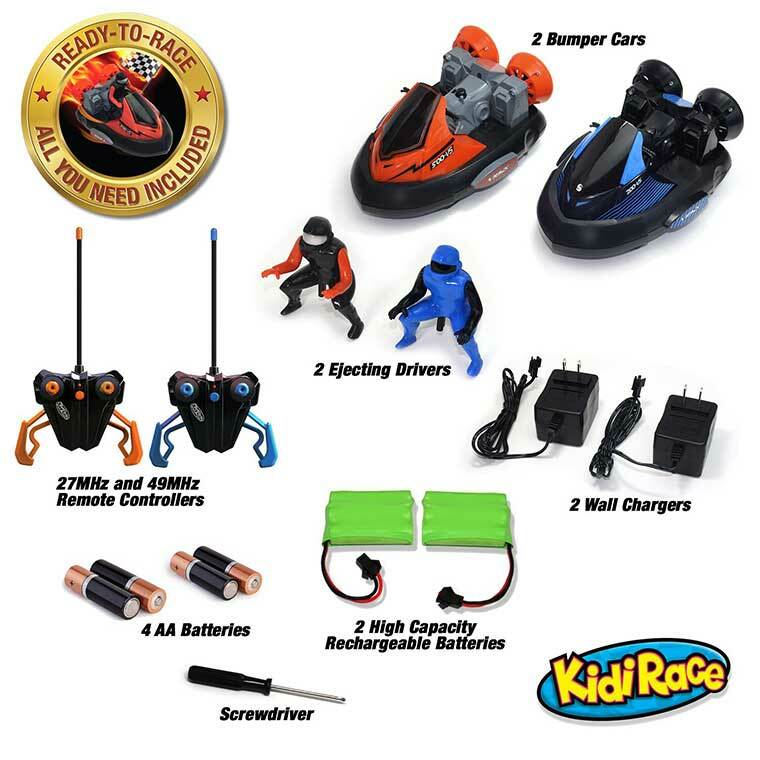 With these RC bumper car battle toys kids will have a lot of fun. Heck even the adults will be trying to get a turn. 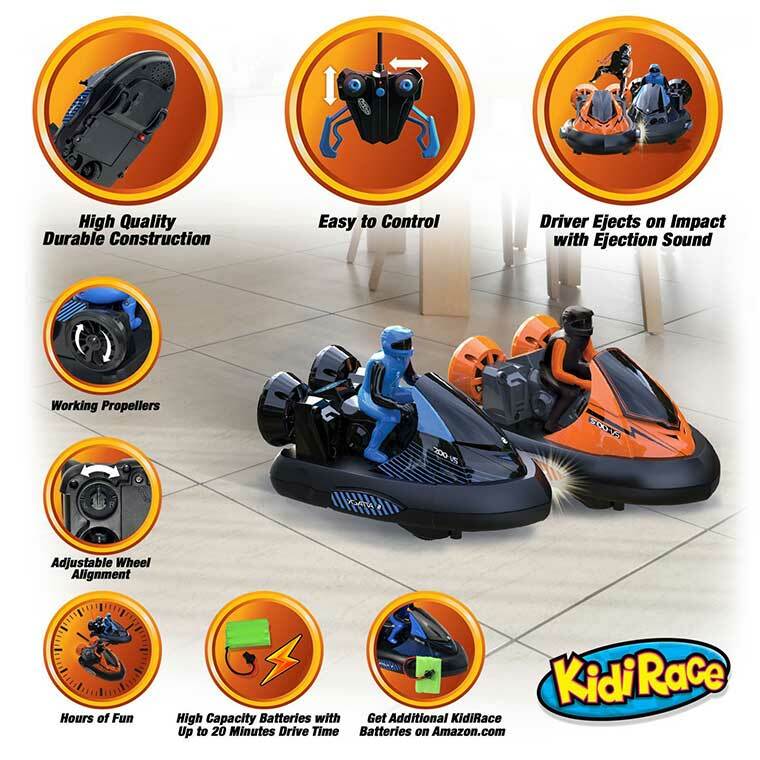 If you need a gift for two kids, then these KidiRace remote controlled bumper cars are a great gift idea. They come with two rechargeable batteries and wall chargers. Kids can beat their opponent by hitting the rival bumper car with enough force in the right spots to knock them off their seat. The cars make electronic crashing sounds to make them even more entertaining.